Convergence is a term that we have become accustomed to in the ICT sector, and it is one that is increasingly becoming relevant in the banking circles. In the not so far future, posing the question: “what is the difference between a Telecom Operator and a Retail bank?” might need thorough doctoral research and analysis as both continue to cross-pollinate and increasingly become interdependent. Yes, I have started off a bit radical Ladies and Gentlemen, but such is the passion I have for the fintech industry – and one that I gladly share with you today. 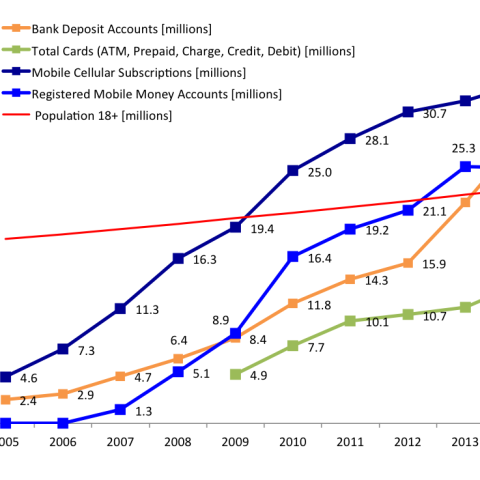 Barely 20 years ago, the mobile phone and indeed being banked were both status symbols in our country. I’m sure you recall how some Kenyan elites used to strap their big cellphones around their waists! And how to majority of Kenyans, banking was a reserve for handful individuals. 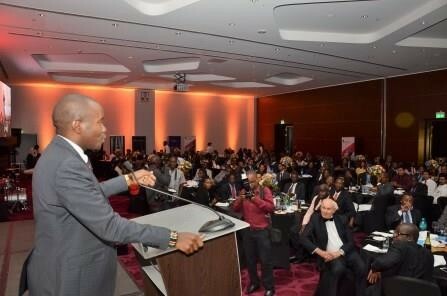 ‘Mattress-Banking’ was the norm, with a good number of Kenyans comfortably engaging in this practice. 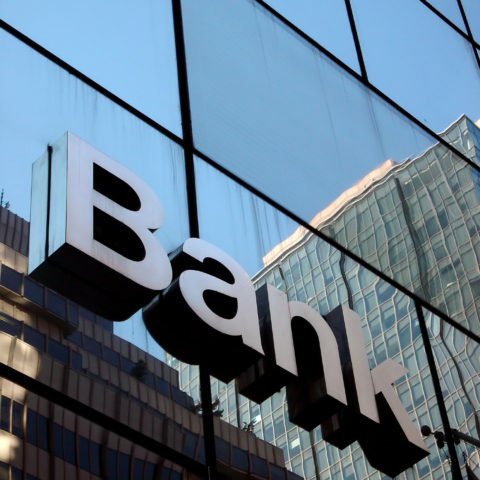 And even for the privileged few, a physical visit to the banks, within the set banking hours, was mandatory to access over the counter (OTC) banking services. Today however, technology has shifted the dynamics. Mobile penetration is at a staggering 88.2%. 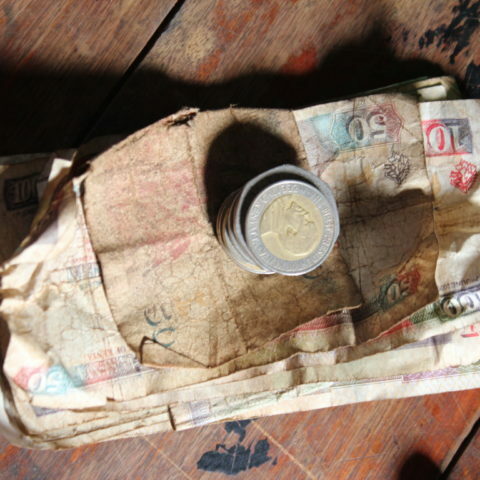 Kenya has continuously topped the list of African countries with ease of access to financial services thanks to the high uptake of mobile money – placing the country ahead of economic giants such as Nigeria, South Africa and Ghana according to the World Bank Global Findex Database 2014. 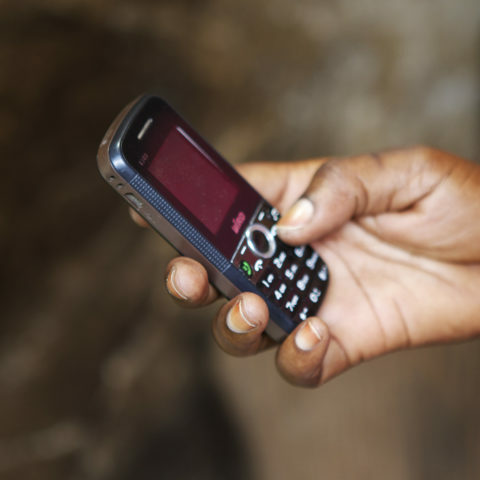 Today, over 75% of Kenyans are banked – through bank and mobile money accounts. I recall when Barclays Bank introduced the first ATM at its Queensway House Branch and how some clients were hesitant to use the cash dispensing machine. The tides have exponentially changed, from that single ATM popularized by a dancing robot TV commercial. Today, there are 2,656 ATMs in Kenya, with 194,652 cardholders out there. ATMs were the first innovations to disrupt the ‘norm’ of banking, bringing convenience and speed of accessing funds to customers, at whatever time of the day or night. ‘Putting the Customer first,” has consistently been the Banking tradition – and technology enabled this and will continue to do so. With the explosion of technology, more innovative ways have been designed centering on customer convenience, personalized service and product differentiation. A lot of basic banking has progressed from OTC teller services onto technology platforms. ATMs, once the pride of every bank manager, have been relegated to the back seat, as digital banking takes centre stage. Locally, I am delighted to observe the vibrancy from our banks as they constantly seek to outdo each other with innovative propositions all aimed at enhancing the customer experience. Similarly, most industry players have revised requirements for opening and maintaining a bank account. Customers can now open bank accounts and transact without necessarily setting foot in the banking hall. This trend is going to solidify, given that Kenya’s bulk of the bankable population comprises youth who are techno-savvy. In fact, a new bank today can leapfrog the capital intensive ATMs and offer its value proposition entirely on the digital platform. Tamara Cook, FSD Kenya’s Head of Digital Innovation, presenting the SME Banking Award to Barclays Bank CEO, Jeremy Awori. As you may be aware, digital banking is widespread in the developed economies. Financial sector regulators in US and Europe have begun to license virtual banks. This is one thing that I look forward to in our market today – Virtual banks are increasingly taking root and it is a matter of time before they become widely accepted here. What does the increasing uptake of technology and specifically the rising trend in digital banking mean for our banking sector? As it is, there is a revolution on how the average person spends and manages his money. 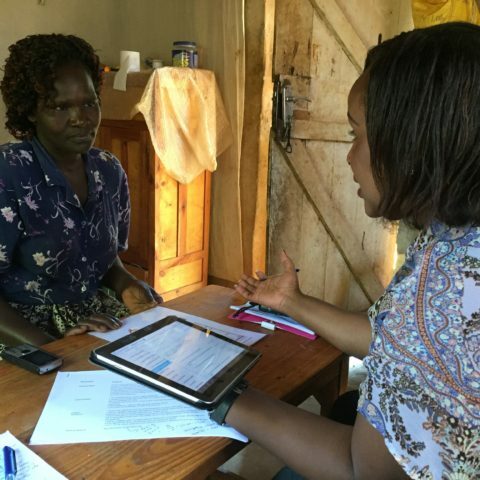 The proliferation of smartphones and tablets in Kenya allows customers to check their balances, make payments, transfer funds and buy goods and services from anywhere at anytime. Kenya would not be recognized internationally as having a banked population above the global average if it was not for the Telecom sector. As our telecom operators succeeded in Mobile money, they in-turn invested heavily in the network infrastructure, allowing for all other industries to diversify and innovate around it. All the digital banking solutions offered to customers by every bank here including PesaLink, mAkiba, MobiKash, Tangaza, Little Cabs, M-Farm would all not be in existence today, were it not for the investments put into our communications network infrastructure. These are all local examples of what is now known as ‘Over the Top – (OTT)’ players, equivalent to the international brands such as Netflix, Uber, YouTube etc who rely on a strong networks to deliver their services, without which their very existence would not be. Our banking industry today, favours the proposal to split M-Pesa from Safaricom. Whereas the arguments for this vary and are within reason in the context in which they are made, I maintain my stand against it, and caution the industry to look at the long-term effects of it. With no revenue stream from mobile banking, what incentives will the Telecom industry have to better their networks? Who will continue to innovate and build on the demanding, capital-intensive infrastructure that we all require today? Who will support all the innovations that rely on the network infrastructure? My argument here is that the biggest competitor to MPesa is not the banking industry but rather the ‘Mattress’. A big percentage of our citizens still keep their money offline – cash transactions are prevalent in our society. So let us not focus on breaking what is working well for us, but rather use technology to encourage accountability, transparency and successfully mop-up the cash seating under all our mattresses. We have to continuously reinvent ourselves and be ahead of the curve. We must never stop innovating. 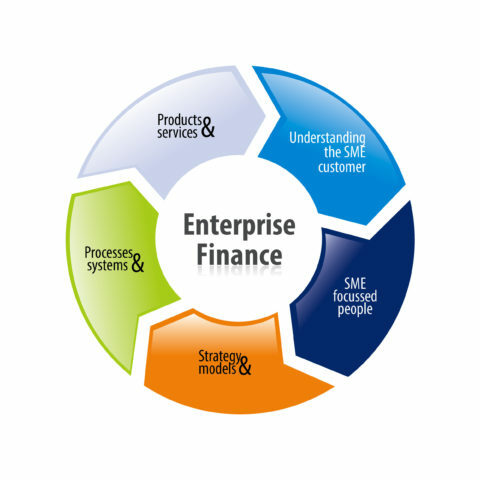 As your customers become sophisticated, they will demand more from you on regular basis because they are cognizant of the banking developments in place. I particularly congratulate PesaLink on its market entry and there is room for many more players in this market. We must be early adopters of the new technologies emerging in our ecosystem, such as blockchain and virtual currencies to excel in the future. With technology adoption, you don’t necessarily have to lead, but you definitely must not be the last. Just like in land transactions, the last to adopt always pays a premium price after all the prime slots have been taken up. This is the opportune time to explore and innovate around blockchain and cryptocurrency technologies – MPesa allowed for mini-transactions to take place amongst our citizenry. Citizens could easily send Kshs.100 when banks were still charging a minimum transaction fee of Kshs. 300. blockchain allows for micro-transactions. With this technology one can easily send Usd 50 cents from Kenya to the US. The use cases for this are revolutionary especially to e-commerce – I would be able to pay to listen to the chorus of my favourite song, rather than a whole song. I want to assure you that, the government acknowledges the place of technology in national development and will continue providing an enabling environment for digital banking to thrive. However, you – the bankers, must do the bulk of the work to adopt digital platforms. It takes less effort for an established bank to transform into a digital bank than it is to start a new digital outfit. The only barrier to entry working in your favor is the high capital requirement. If this became varied, you would have an influx of small digital banks and more fintechs joining the industry. You should not wait for this to happen. Digital banking is in a pole position right now and it can propel you to the pinnacle if you execute it well. It can also present a challenge to you if mishandled, giving rise to an alternative banking system driven by fintechs and quasi-banks. As new fintech trends emerge, you do not want to be left holding the short-end of the stick. You ought to drive the agenda, set the pace and lead the customers. This transition is yours to win. I put the challenge to you to be progressive and embrace digital banking in all its facets, to grow your balance sheets and give Kenyans amazing banking opportunities and experiences. As I conclude, Ladies and Gentlemen, the government expects to see prudent management in the financial sector. In the past, we have witnessed undesirable incidences where financial institutions go under with lifelong savings of hard-earned clients’ money. Such instances cause untold suffering to many businesses and families such as loss of income and property as their estate is attached for recovery of debt. Sometimes it leads to breakup of families, school and college dropouts and in some extremes, loss of lives. The Government through the Central Bank has put in place appropriate regulatory measures to strengthen the sector and reign in on non-performing financial institutions. 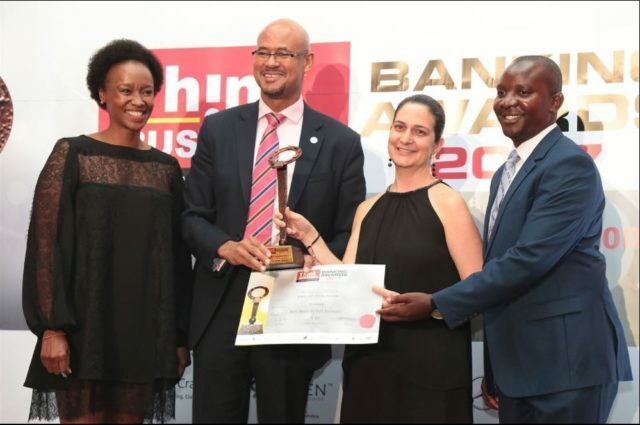 As digital banking increasingly takes root as a commonly accepted phenomenon in Kenya, the Government will ensure that supportive policies and regulations including those bordering on cyber security are firmly in place. In the same light, as you continue to invest heavily in digital banking, I urge you to also invest in Cyber Security – hire the right expertise and put in the necessary infrastructure to take good care of the money that your clients’ have entrusted in your hands. Let us all work together to ensure the citizens trust in the banking sector is maintained.